Custom Choice Windows Ltd - Fascia/Soffits/Guttering, Windows/Doors/Conservatories based in Fengate, Cambridgeshire. 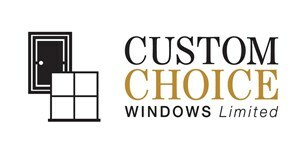 Welcome to Custom Choice Windows. We are a small, local, family run business based in Fengate, Peterborough. If you're looking to install high quality products that improve the security, looks and efficiency of your home then look no further. You can have the windows installed now and pay NOTHING for 12 months! Or you can spread the cost INTEREST FREE up to 3 years!! Solid timber core composite doors. Available in 11,000 colours! No job is too big or too small. Please call a member of our friendly team for information or a quotation on your project. Bourne, Cambridgeshire, Chatteris, Deeping St. James, Ely, Huntingdon, Lincoln, March, Market Deeping, Northampton, Peterborough, Ramsey, Spalding, St. Neots, Stamford.